Wow Air abruptly ceased operations and cancelled all its flights this week after rescue talks with investors broke down. Routesonline looks at the Icelandic low-cost carrier’s network prior to its failure. After a turbulent week during which two potential investors walked away from a rescue deal, Wow Air confirmed on Thursday morning (28 March 2019) that its restructuring attempts had failed and all flights had been cancelled. In a brief statement it said: “Wow Air has ceased operation. All Wow Air flights have been cancelled.” The airline, founded by entrepreneur Skúli Mogensen in 2011, added that “some airlines may offer flights at a reduced rate, so-called rescue fares, in the light of the circumstances”. The move came after private equity firm Indigo Partners, a backer of several low-cost carriers including US airline Frontier and Hungary’s Wizz Air, ended talks that had been ongoing since November 2018. Discussions were briefly reopened with competitor Icealandair - which had previously proposed a merger prior to the Indigo Partners agreement - but talks broke down on Sunday. Wow Air then attempted a financial restructure with its bondholders, but its efforts were ultimately in vain. At the time of its failure, data from OAG Schedules Analyser shows that for the week commencing 25 March 2019 the LCC operated 16 routes from Keflavík Airport, 12 of which were daily. Six destinations were in North America and ten in Europe. The carrier has trimmed its network in recent months, ending flights to Chicago, Los Angeles, Pittsburgh and St Louis in January. It also pulled a new route to Delhi in India less than four weeks after launching it. 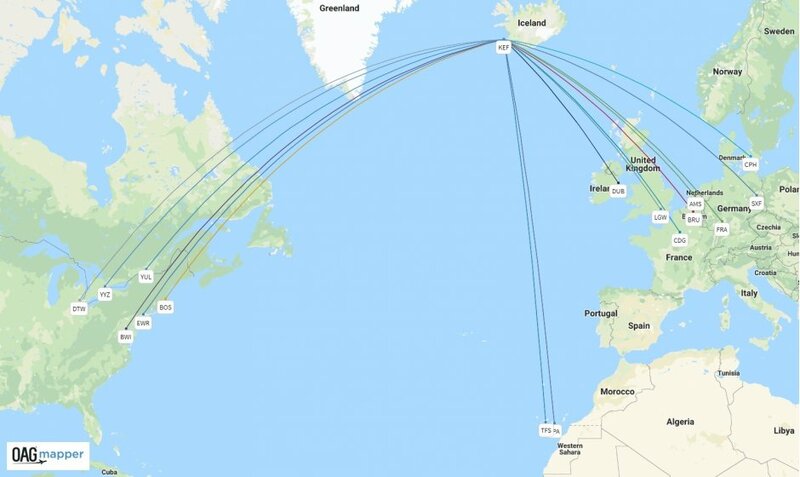 Wow Air’s summer 2019 schedule shows the carrier intended to operate 24 routes, six of which would have been to North America (Newark Liberty, Baltimore Washington, Montreal, Toronto Lester B Pearson, Detroit Metropolitan and Boston Logan) and the rest to Europe. It intended to deploy the most capacity on Keflavík - Amsterdam with 101,392 two-way seats, followed by Keflavík - Newark with 87,360 seats and Keflavík - Paris Charles de Gaulle with 86,528 seats. OAG Schedules Analyser data shows that Wow Air’s network was skewed towards Western Europe, which would have accounted for 81 percent of seat capacity in summer 2019. North America was second with 17.4 percent. 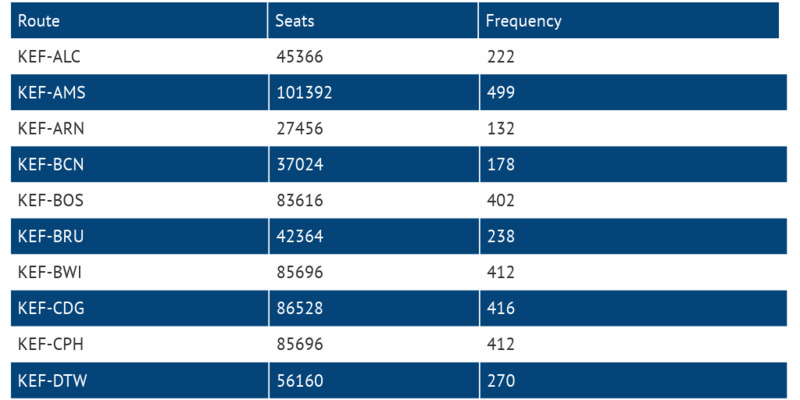 In total, there were 1.38 million seats scheduled across its network in summer 2019, compared with 2.66 million during the same period in 2018. In summer 2018, Wow Air operated routes to 36 destinations, 14 of which were in North America. Although Wow Air pursued a transatlantic connecting strategy, data from Sabre Market Intelligence shows that 95 percent of its traffic was local to/from Iceland in 2018, hinting it was much less reliant on connecting Europe-North America than its business model suggested. Its biggest connecting flows were Berlin to New York, London Gatwick to Washington and Paris to Washington, all of which are well served with non-stop services. Isavia, which handles the operation and development of all airports in Iceland, revealed this month that total passengers at Keflavík increased 12 percent in 2018 to just over 9.8 million. However, chief executive Björn Óli Hauksson admitted the number of tourists would decrease in 2019 because of “uncertainty in the market” and the “technical and operational difficulties of the airlines”. According to OAG Schedules Analyser figures, the number of available departure seats from Keflavík is forecast to drop by 13.6 percent in summer 2019 to 3.37 million, even before the failure of Wow Air is taken into account. Despite this, Icelandair is adding capacity while Wizz Air continues to expand from the airport. Earlier this week, Wizz announced plans to serve Keflavik from Krakow, starting on 16 September 2019. The new route will mean the carrier becomes the first non-Icelandic carrier to operate a double-digit route network from Keflavik. With the number of people from Poland visiting Iceland growing by 10.6 percent for the 12-month period ending 28 February 2019, the eastern European country is the sixth largest market for foreign visitors to Iceland. 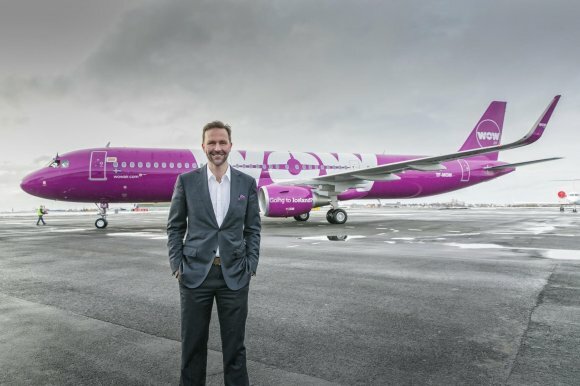 “The airline already serves Gdansk, Katowice, Warsaw Chopin and Wroclaw from Keflavík, and when Krakow services begin, the airline will be offering 14 weekly departures to Poland from Iceland,” said Hlynur Sigurdsson, commercial director Isavia. Along with its Polish routes, Wizz operates from Keflavik to Budapest, London Luton, Riga, Vienna and Vilnius. It is expected to offer more than 333,000 two-way seats from Keflavík this upcoming summer season, representing a 14.1 percent increase in capacity versus the airline’s summer schedule for 2018.